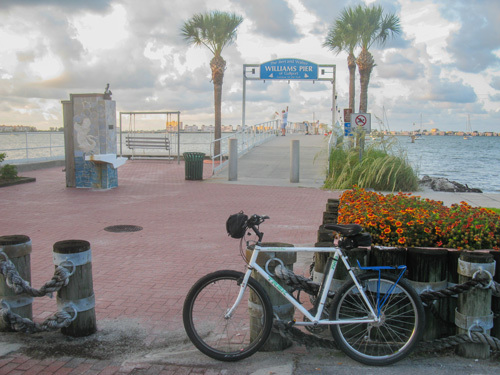 A morning bike ride in Gulfport FL is the perfect way to begin a new day. 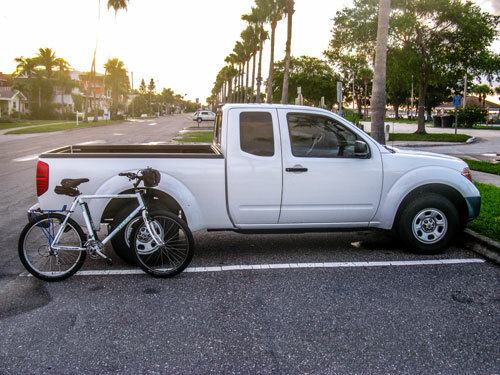 It had been raining hard, the previous night, so I didn't know what to expect as I drove five miles south to the sleepy little Boca Ciega Bay community for some easy bike riding, and breakfast out. I pulled my trusty 1990 Trek 7000 out of the back of my Frontier, and surveyed Shore Blvd, just as the sun was starting to crest the horizon. Thankfully, the streets had drained nicely and I didn't see many big puddles that I would have to dodge. I had a nice lady friend with me, and riding through standing water would not be very romantic, at all. 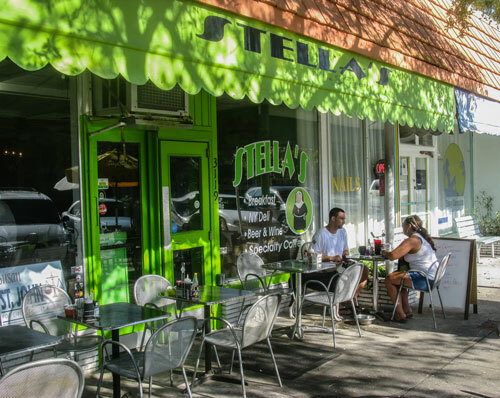 We planned on touring the neighborhood streets to view all of the artistically-creative colors on homes and the interesting original mailboxes that frequently catch the eye, then head over to Stella's Cafe for breakfast in the open air. 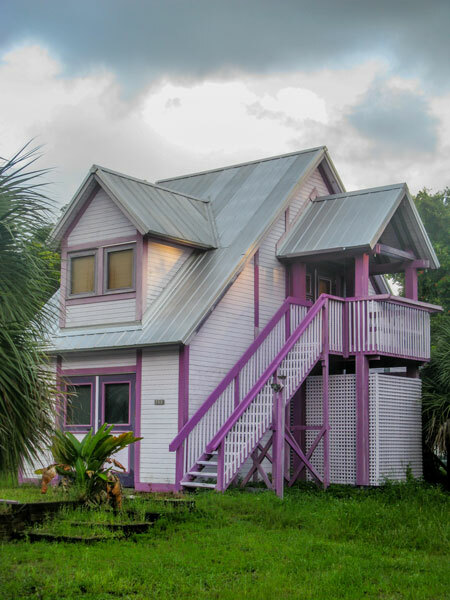 The natural beauty of this setting is topped only by the colorful personality of this undiscovered little piece of Old Florida. Gulfport has one main street (Main Street) with the city library at the north end, and the Gulfport Casino, at the south. Every other street is just a grid of uniquely painted neighborhood homes. It is a colorful place to ride around. Cool Fact: In 2013, Gulfport was one of the finalists in the Rand McNally "Best of the Road" for the "Best In Food" category. The competition included 600 other small towns. 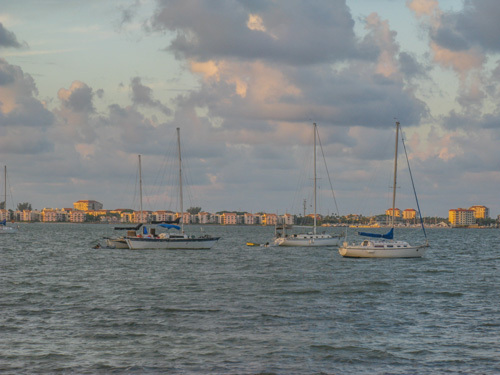 Williams Pier is long, and extends out into Boca Ciega Bay for both excellent fishing, and relaxing on the benches while smelling the clean salt air. When you close your eyes, Paradise is not far away. The bay is usually filled with boats anchored while the occupants sleep. Many have attached rubber dinghy's so they can come into shore and spend time at one of the many interesting restaurants and bars. Some guys just swim in. No big deal. 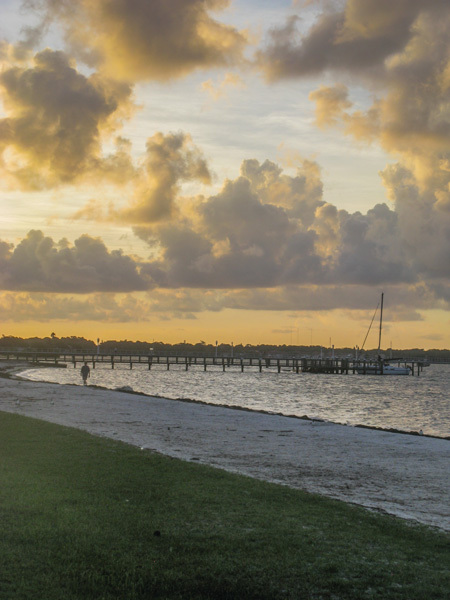 Gulfport FL is about as laid-back as Key West. We were not the only ones out at sunrise. A lot of people, especially retired couples, like to walk the beach area or just stroll along Main Street. You will also see runners of all ages and speeds. The beauty of this undiscovered little community is attractive to a variety of locals. Here is one of the beautifully painted homes we saw on our morning bike ride in Gulfport. You can imagine how pretty this looks against the clear blue sky in Spring. 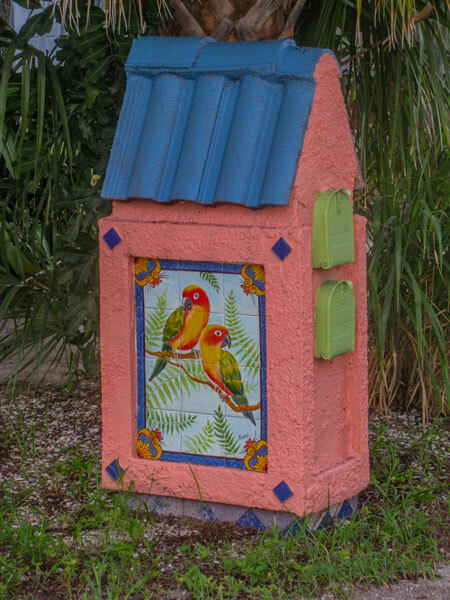 Just one of the many unique mailboxes in this little bay front town. The pace is unhurried, and the artistry reflects that. Stella's Cafe was pretty empty after our ride, just this young couple enjoying breakfast in the Florida morning sunshine. We had a nice table, shaded by umbrella. You can hear bird calls, feel the breeze through the palm trees, and just enjoy the quietness of a wonderful small town. 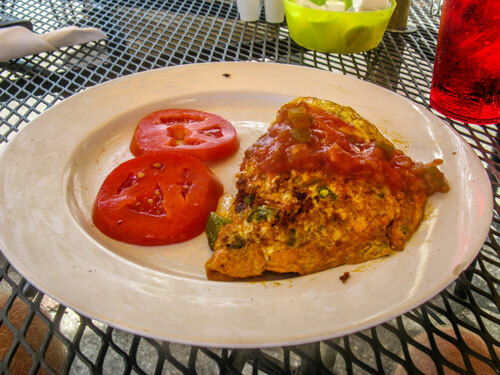 I ordered the Spanish Omelet, with sliced tomatoes instead of home fried potatoes. It was huge, and outstanding. Our entire bill, with a good tip, came to about only $18. One of the great things about this morning bike ride in Gulfport FL, is that it is both profitable...and gives me legitimate tax write-offs. 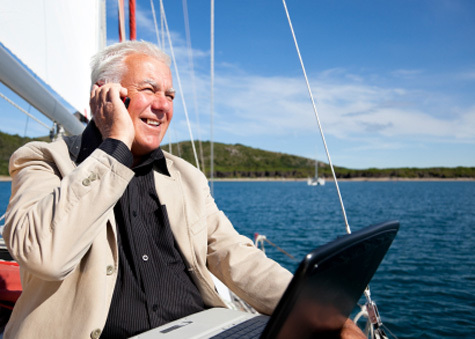 Running an online home business is a great way to generate a lot of extra money in retirement. Listen, I started out as a Physical Education teacher back in 1974. If I can make money running an Internet business, so can you! Seriously, all you need is a laptop, and some quality instruction about setting up a profitable online business, and you are good to go. Now, don't get me wrong...making good money is not easy or automatic. You will have to put in some time and energy to create a site that draws traffic, but if you have good creativity and can type coherent sentences, you will be way ahead of 90% of the people out here. I really like this $3 Kindle book, How To Make Money Online. It is full of tips, strategies, and the truth...which is "You have to put in the time to create good sites. Yes, it is is simple, but if it was easy, everybody would be doing it." Even if you do not decide to start an online home business, spend $30 and purchase Dr. Ron Mueller's "Home Business Taxes Made Easy!" Once you see how much of your own money you lose by over-paying your taxes year after year, you will really embrace the idea of starting your own business at home. I recently got my bike overhauled. It cost me about $525...yet I can write that off because I use that old tank to scout around every place I write about on my different sites. I carry my camera in the handlebar bag, my laptop in my Frontier...and my mobile travel info service is pretty well self-contained. 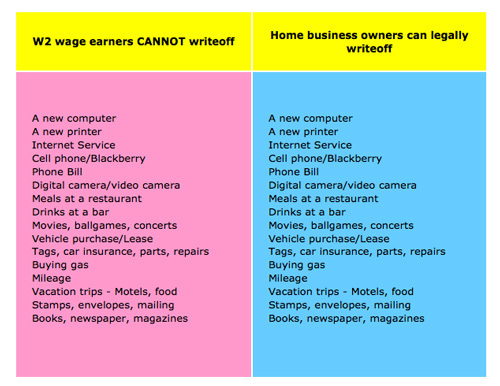 Spend a few seconds checking out this comparison table of what you can legally and legitimately write-off your taxes with a valid home business. 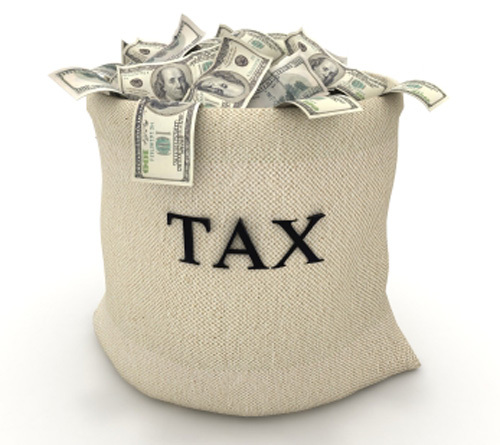 Do you think an inexpensive purchase at www.HomeTaxBusters.com might be helpful to keeping more of your own money? I am blessed to live an unhurried and exciting retirement lifestyle on the Florida beach. Trust me, making an extra $100 or so dollars each day goes a long ways to enhancing my state teacher's pension. I can do a lot of fun things, plus tithe/donate 50% of my earnings. I retired from Peoria Unified School District in 2006. Getting out of bed each morning has been wonderful for these past years. Taking a morning bike ride, and eating a leisurely breakfast in a picturesque little bay town is just icing on the cake.